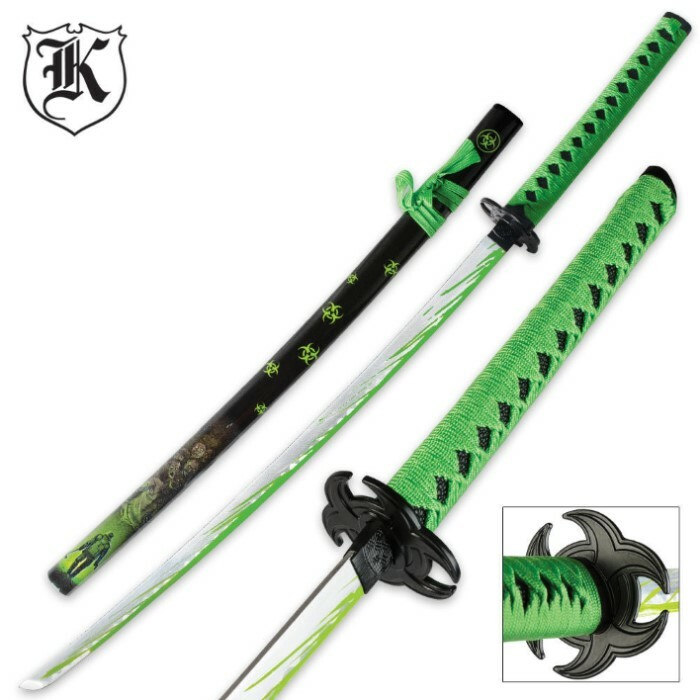 Undead Apocalypse Slasher Katana Sword | BUDK.com - Knives & Swords At The Lowest Prices! Slash through Undead flesh with the Undead Apocalypse Slasher Sword! 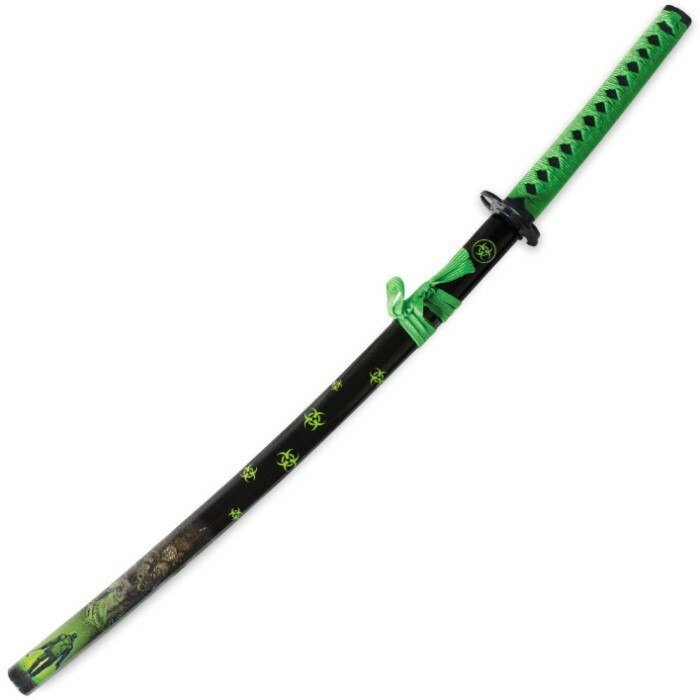 This katana sword features a carbon steel blade with Undead green details along the blade edge. 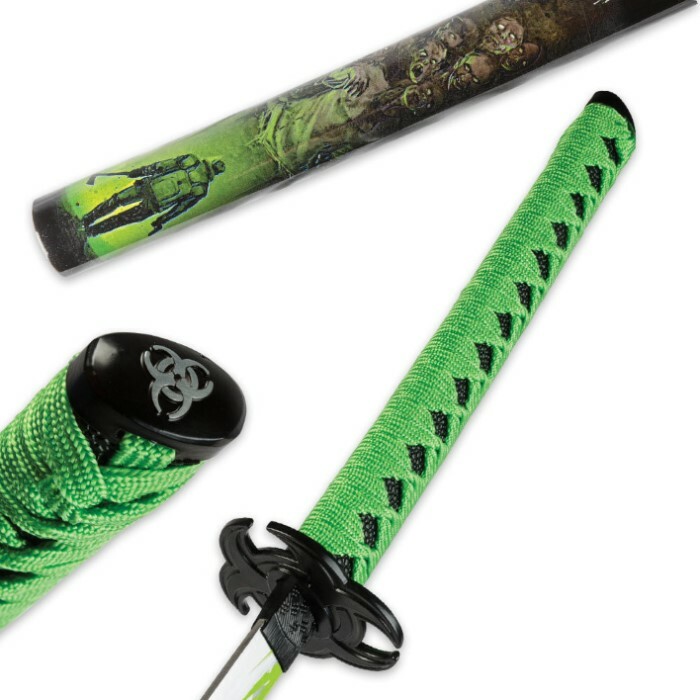 The handle features black imitation ray skin and Undead green nylon cord wrapping. The black-coated cast metal aluminum tsuba is shaped like a biohazard symbol, warning the Undead to keep away from you! The wooden scabbard features a biohazard water transfer pattern to complete the look of this fierce katana.